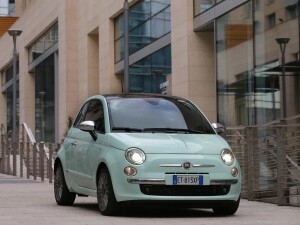 The Fiat 500 has been a mainstay at the top of the British best-seller’s chart for most of its life. Launched in 2007 to much fanfare – it was the cover star of CAR magazine in August that year – the 500 has become the lifeblood of the Fiat Group. No change there, then. Fiat has always relied on brilliant small cars, charting its baby bloodline all the way back to the original 1950s Nuova Cinquecento, the 126, Panda and on to the present day. The 500 range is now expanding, as sales have collapsed elsewhere in its portfolio; hence the new 500X unveiled at the 2014 Paris motor show and the swollen, over-inflated 500L quasi-people carrier, uber-hatch type confusion. But Fiat has facelifted the basic 500 hatchback, too. The question is: is the stylish city car still any good, as it approaches its eighth birthday? We drove the Twinair and 1.2 to find out. Read on for our full Fiat 500 review. 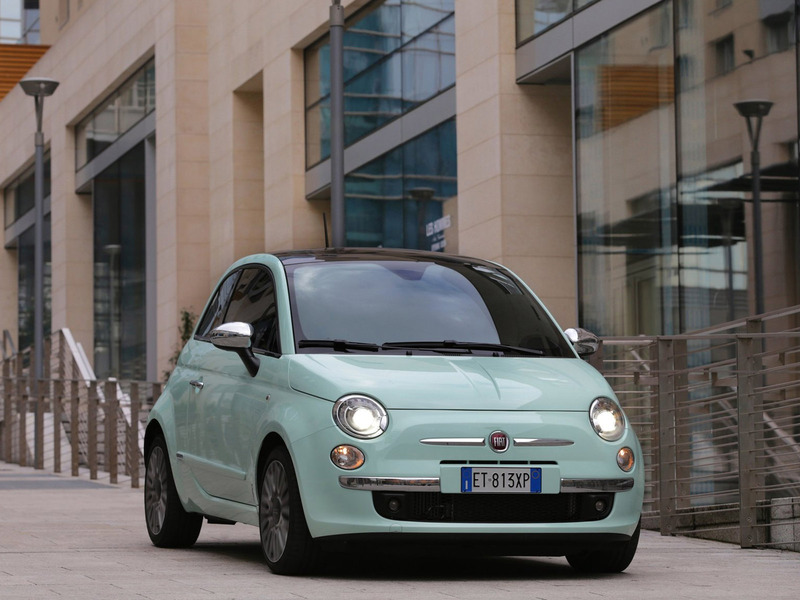 Fiat 500: what’s new for 2015? The Italians haven’t fiddled too much with what remains a popular recipe. They’ve sensibly avoided mucking around with the wardrobe department too much (how do you facelift a style icon such as the 500?) but instead focused their attention on engines, trim levels and the interior. The 2015 500 is available in both hatchback and convertible formats. For starters, there’s a newly uprated 104bhp TwinAir engine available for the first time, but most of the tweaks are more cosmetic. There’s a fancy new TFT digital display fitted to top-end 500s, new colours, upholstery and wheels plus a new Cult trim level. Fiat 500 review: how does the hatchback drive? The 500 driving experience hasn’t changed much over the past seven years. These are bijou slips of cars, a scant 3546mm long but with only two doors – unlike new kid on the block, the suspiciously looky-likey Renault Twingo, which packs four doors into its diminutive frame. We drive the TwinAir first. Fiat’s unique 875cc two-cylinder petrol engine is unlike any other petrol motor on sale today; the noise is brilliantly charismatic, like a demented triple ripe with flatulence. You’ll enjoy revving it, but rev it you must since even the uprated 104bhp and 107lb ft are quickly exhausted. Sadly, this dents the fuel economy somewhat; few owners get anywhere near the claimed 67mpg combined economy, although the lowly 99g/km is useful for tax and road fund licence in the UK. The TwinAir is the most powerful version yet available in the 500, and Fiat claims 117mph and 0-62mph in 10 seconds dead. But the narrow power band remains and it’s a curious thing to drive, encouraging low-rev, high-gear lugging, all the while accompanied by this extraordinary mooing. It’s one of the most distinctive powertrains available in any small car. We like. The 1.2 is less muscular, being non-turbocharged. Headline figures are a paltry 68bhp and 75lb ft at 3000rpm, and performance can best be described as lethargic. Fiat quotes 0-62mph in 12.9sec and 99mph, although most CAR testers gave up way before then. Today’s Fiat 500 rides comfortably enough, but there’s little here for enthusiasts. While the Abarth models beef up responses, regular or cooking 500s are a more plodding drive with few stand-out features: the gearchange is long and not especially satisfying, the steering overly light and inert. The ride is nothing special either, biased to comfort but still feeling unsettled with unwelcome frequency. But that’s never been the point of the Fiat 500 – it’s light years away from the sharp-driving Mini (tellingly, now onto its third generation under BMW’s watch) or newer rivals from the VW Group. The 500 remains a two-door only. You’ll have to pick the 500X or 500L if you want more doors and space. Which means the regular hatch is fine in the front for adults; there’s plenty of front legroom and headroom, even with the glass roof of our test car. It feels unusually narrow, however, with zero space between door and seat as you reach for the seatbelt, belying this car’s bijou footprint. Rear space? Best left to toddlers; even school-age children will feel claustrophobic back there. The boot’s pretty titchy, too, at 185 litres. For reference, the newest Mini offers 211, the Twingo 219 and a VW Up 251 litres of bootspace. Ah, yes. The Mini again. BMW’s baby throws into relief where Fiat is struggling with a seven-and-a-bit-year-old design. While the basic layout of the 500’s dash remains appealing in a retro, simplistic kind of way, some of the materials used and tech on offer is starting to feel really old. The plasticky window switches would shame Lego’s Duplo department and the strap-on aftermarket TomTom shows how creaky the electrical architecture is. Every time you stop the engine, the sat-nav croaks ‘Synchonising clock to London time’. It feels a bit post-War… Even the impressively sharp seven-inch TFT screen standard on 500S and Cult models can’t disguise an ageing cabin design. Kudos to Fiat for fitting Merc S-class tech on its city car, though. This remains a good-value car and Fiat dealers know their market. You’ll pick up an entry-level 500 hatchback from around £10,160 for a 68bhp 1.2 Pop, but even main franchised showrooms will likely offer discounts of up to £500, according to haggling experts. Three engines are available in the revised 500 range. Pick from the 68bhp 1.2 and TwinAir petrols in either 84bhp or 104bhp states of tune. One diesel is offered: the 94bhp Multijet. We have yet to try that engine in the new 2015-spec 500. The Fiat 500 will continue to be bought primarily on style grounds and we can understand why. We’ve always liked the chic fashion on offer, ever since we first clapped eyes on the original Trepiuno concept car back in 2004 and Fiat understands the small-car market like few others. A string of 500 special edition tie-ups with fashion houses indicates the female bias of its market and we suspect buyers of that ilk will continue to lap up this distinctively pert city car. The question is: how will Fiat keep up with the fast-moving dynamics and electronics gains being made by rivals? For this consigns the 500 as a great car to look at and be seen in, if not to drive. And people who enjoy driving may therefore be tempted to look elsewhere.